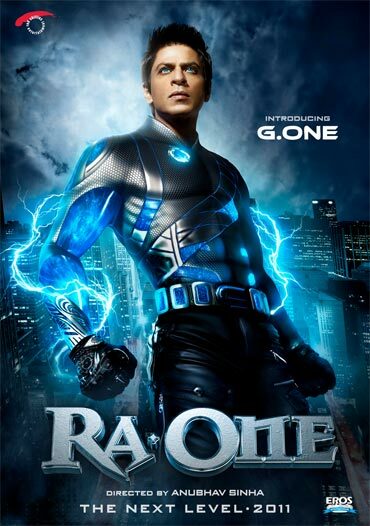 Rediff.com » Movies » What do you think about SRK's Ra.One look? At the start of the new year, we caught actors in various moods on twitter. What do you think of SRK's look in the film? Write in and tell us! Hrithik Roshan, who is in Dubai holidaying with SRK and Karan Johar, seemed optimistic. 'Dec 31st makes it so easy to let go of past, Jan1st makes it so simple to start afresh 2look ahead. Let's all vow this year 2 let go at every sunset...n start afresh every sunrise. Wish u all the most excitement this 2011 and even more peace. Happy new year beautiful people!! Love love n more love,' he tweeted. Abhishek Bachchan was sweating it hard. 'They say what you do on the 1st of jan determines what you'll do for the rest of the year...started the year in the gym!! God it's going to be a tough year! Bring it on. Happy new year everyone,' he tweeted. Priyanka Chopra, on the other hand, seemed anxious. 'Today woke up with a strange sense of nervousness, fear maybe.. Worry also.. Wondering what direction life Will take..new or familiar?' she tweeted. There cannot be a better way to welcome the New Year than with your loved ones. 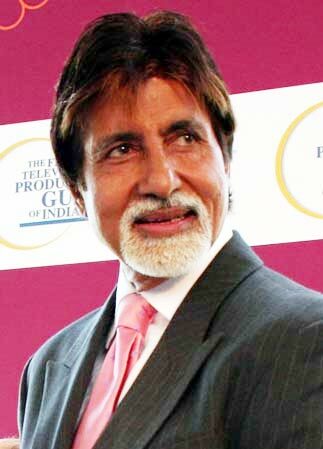 And Amitabh Bachchan, who celebrated with his entire family in Goa, knows it just too well. The Shane Warne-Elizabeth Hurley romance may be far from over. The two exchanged quite a few messages on twitter over the weekend. Their banter didn't stop here. Warne replied: 'Enjoy rabbit food me - not!!! Enjoy NYE with Damian...' He was of course referring to Hurley's son. Hurley is not the only celeb warming up to sports. Football fan Abhishek Bachchan seemed delighted at Chelsea's fighting spirits. 'Despite the outcome. Great game of football. Well played villa, and great fighting spirit Chelsea,' he tweeted.